Context: Pruritic papular eruption (PPE) is a chronic eruption of papular and pruritic lesions of unknown etiology, symmetrically distributed over trunk and extremities. These are common cutaneous manifestations in HIV patients. It is an important cause of HIV-related morbidity. PPE can be the first marker of HIV. Their etiology, histopathological findings, and associated factors vary from region to region. There are no clear data available on the etiology, exact spectrum of the condition, histopathological findings, or treatment of PPE. Aims: The study is aimed at documenting the etiology, CD4 count, and its histopathological correlation in HIV-infected patients. Settings and Design: An observational study conducted in Government Medical College, Patiala. Subjects and Methods: Two-year data regarding history, HIV status, cluster of differentiation 4 (CD4) cell count, and skin biopsy of clinically suspected PPE patients with known HIV status were analyzed. Statistical Analysis Used: All the results were then statistically analyzed. Categorical data were analyzed by Chi-square test, and one-way Spearman's rho test was used for multiple group comparison. Results: Data of 50 eligible patients were analyzed. The majority of the patients were female (between 21 and 50 years of age). The most common histopathological patterns were of papular urticaria, scabies, and drug reaction, and the others less common PPE were polymorphic light eruption and eosinophilic folliculitis. Patients with papular urticaria (32%) had significantly lower mean CD4 counts (157 cells/mm3), while in scabies, the mean CD4 count (376 cells/mm3) was higher. Conclusions: We conclude that histopathology helps in specifying the pattern of PPE and its etiology. It can be a marker of advanced HIV infection. Thus, correlation between the histopathology, clinical diagnosis, and CD4 counts helps to know the disease process. Bizarre cutaneous presentations can be the first markers in HIV/AIDS and pruritic papular eruption (PPE) being the most common presentation. PPE is a chronic eruption of sterile pruritic, papular, and pustular lesions on the extensor surfaces with sparing of palms and soles and mucous membrane. In majority of cases, the eruption appears in the advanced immunosuppressive stage, but eruptions may appear as an initial cutaneous manifestation of HIV, with high cluster of differentiation 4 (CD4) lymphocyte count. PPE is characterized by multiple discrete skin-colored papules often excoriated, symmetrical, and found on the extremities, face, and trunk with sparing of the mucous membranes, palms, soles, and digital web spaces. There is no clear consensus on the etiology, the exact spectrum, pathological findings, or the treatment of PPE. This observational study was done to ascertain the etiology, CD4 counts, and its correlation with histopathological findings. Source of data – Data were collected from 50 patients of HIV who presented to derrmatology OPD with PPE, over a duration of 2 years. Study design – This was a cross-sectional observational study and sample size was 50. After taking written informed consent, detailed history including duration of antiretroviral therapy and sociodemographic status was noted. After clinical examination, CD4 counts and skin biopsy were done for the identification of specific histological pattern of PPE. All the results were then statistically analyzed. Categorical data were analyzed by Chi-square test, and one-way Spearman's rho test was used for multiple group comparison; P = 0.05 or less was considered significant. Fifty HIV patients with PPE were enrolled in the study. The mean age of patients was 35.36 ± 8.96 years. Females were more affected than males. Most patients presented to us within 2 months of duration. Pruritus was present in all of the patients. The distribution of clinical pattern of PPE is shown in [Table 1]. 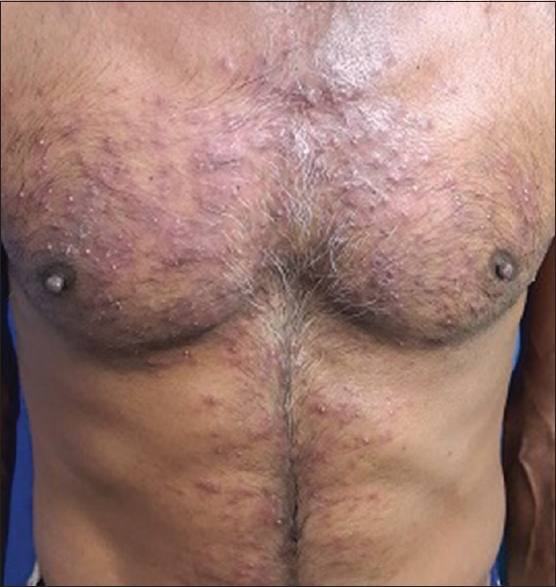 It was observed that the most common clinical diagnosis was papular urticaria [Figure 1], followed by scabies [Figure 2], drug reaction [Figure 3], eosinophilic folliculitis (EF) [Figure 4], and polymorphic light eruption (PLE) [Figure 5]. The histopathological finding is shown in [Table 2]. The most common type of PPE on histopathology was papular urticaria [Figure 6], scabies [Figure 7], drug reaction [Figure 8], EF [Figure 9], and PLE [Figure 10]. Among these, PLE was commonly seen when the mean CD4 count was 490/mm 3, Papular urticaria, when the mean CD4 count was 157/mm 3; EF, when mean CD4 count was 224/mm 3 and scabies when mean CD4 count 376/mm 3: drug reaction when mean CD4 count was 223/mm 3. In the present study, the average concordance between clinical and histopathological diagnosis was 94%, and discordance was 6% shown in [Table 3] highest (100%) being in PLE, EF, drug reaction followed by scabies (91%) and papular urticaria (88.23%). Spearman's correlation (r) =0.849 was found to be very strong and P = 0.001 which was highly significant [Table 4]. PPE is characterized by chronic pruritus and symmetric papular eruptions on the trunk and extremities with the absence of other definable causes of itching in an HIV-infected patient. PPE remains the most common cutaneous manifestation in HIV-infected patients, with a prevalence ranging from 11% to 46%, more so in less developed countries. 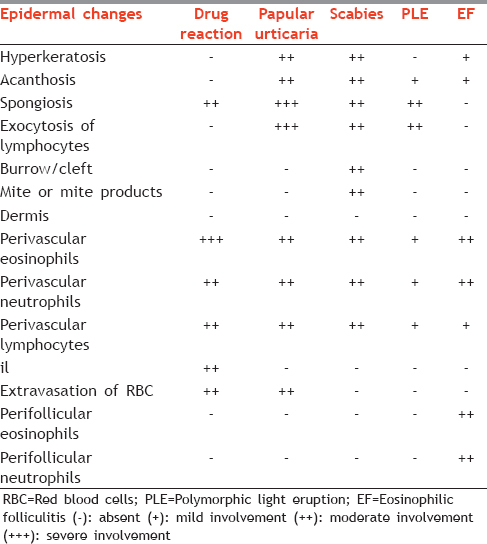 PPE presents as erythematous urticarial papules. The initial skin lesion is small, firm, and intensely pruritic, which provokes scratching. Scratched papule becomes hyperpigmented macules or nodules. Lesions are found on the extremities, but face and trunk can also be involved. These pruritic eruptions are best subdivided into follicular and nonfollicular eruptions. 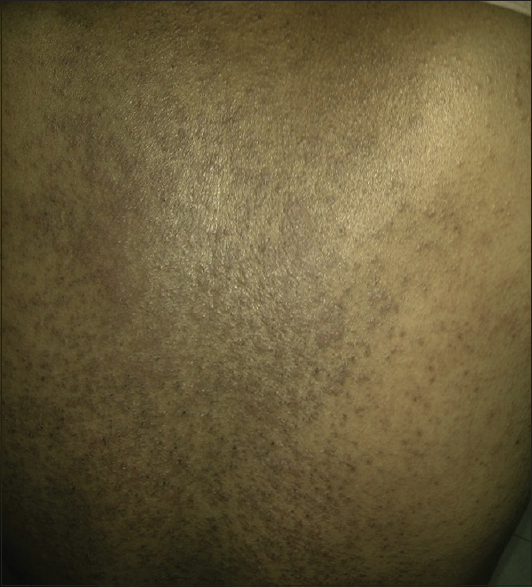 In tropical and semitropical regions, nonfollicular eruptions are most common and probably represent insect bite hypersensitivity. In temperate regions, follicular pruritic eruptions are more common. There could be various etiologies of follicular pruritic eruptions  which include EF, demodex folliculitis, staphylococcal folliculitis, and pityrosporum folliculitis. 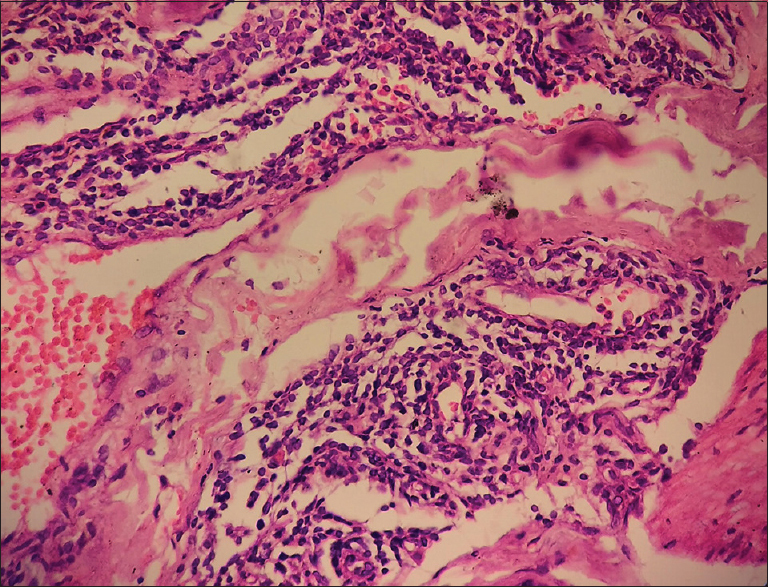 The nonfollicular pruritic eruptions can be divided into primary papular eruptions and eczematous eruptions. The primary PPEs are scabies, insect bites, transient acantholytic dermatoses, granuloma annulare, and prurigo nodularis whereas eczematous eruptions include atopic-like dermatoses, seborrheic dermatitis, nummular eczema, asteatotic eczema, photodermatitis, and drug eruptions. The most common clinical diagnosis in the present study was papular urticaria in 17 cases (34%), followed by scabies in 12 cases (24%), drug reaction in 10 cases (20%) mainly due to co-trimoxazole in 2 cases (20%) and due to nevirapine in 8 cases (80%) which were similar to the study conducted by Rotunda et al. and Salami et al., EF in 8 cases (16%), and PLE in 3 cases (6%) which were similar to the study conducted by Resneck et al., Afonso et al., and Coopman et al. The present study is almost in concurrence with the above studies in which papular urticaria was the most common clinical cause followed by scabies, drug reaction, EF, and PLE. 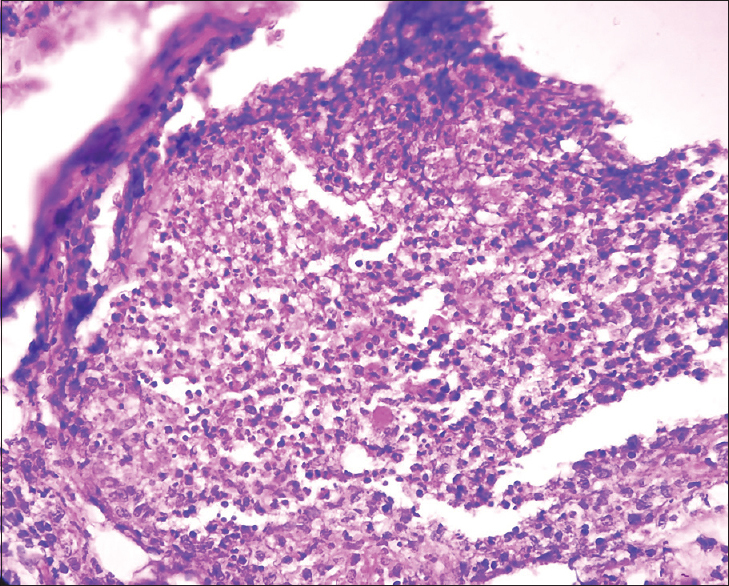 Budavari and Grayson found a concordance between the initial clinical diagnosis, and the final histopathologic diagnosis was achieved in only 27.5% of cases. 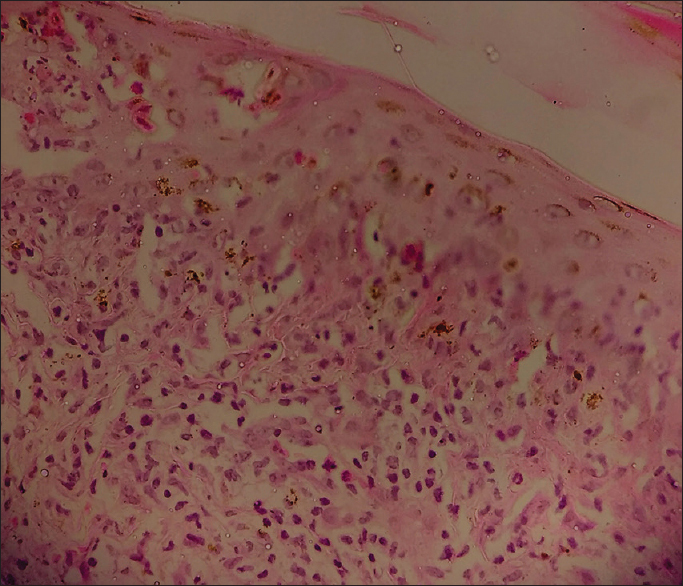 Skin biopsy proved in most of the studies an important diagnostic approach in investigating PPE cases. In contrast to the above study, the present study clinicopathological correlation has been established in maximum cases (70.46%) as compared to the previous studies because all the cases were biopsied the same day when they came to the OPD; before performing the biopsy, no treatment was given to the patient so that typical histopathological picture is not altered, new lesions were always preferred in choosing the biopsy site, detailed history and physical examination helped the dermatologist and pathologist to rule out the various differential diagnosis in every case, and patients were convinced enough to give correct relevant history that turned out to be beneficial for the dermatologist and pathologist. PPE has a major impact on the quality of life of the affected patient, subjecting patients to HIV-related morbidity in their communities. It can present as the first marker of HIV and indicates advanced immunosuppression. Clinical examination, low CD4 count, and histopathological features are conclusive in the diagnosis of most of PPE. Thus, recognizing PPE helps in allowing early treatment. 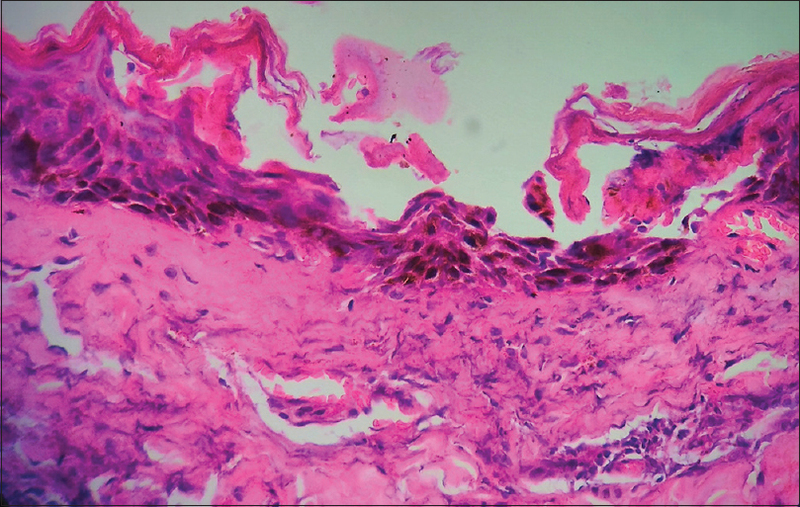 Eisman S. Pruritic papular eruption in HIV. Dermatol Clin 2006;24:449-57, vi. Raju PV, Rao GR, Ramani TV, Vandana S. Skin disease: Clinical indicator of immune status in human immunodeficiency virus (HIV) infection. Int J Dermatol 2005;44:646-9. Fisher BK, Warner LC. 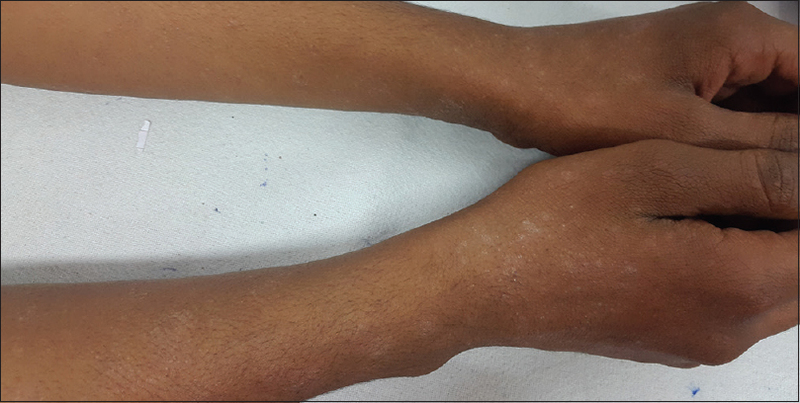 Cutaneous manifestations of the acquired immunodeficiency syndrome. Update 1987. Int J Dermatol 1987;26:615-30. Liautaud B, Pape JW, DeHovitz JA, Thomas F, LaRoche AC, Verdier RI, et al. 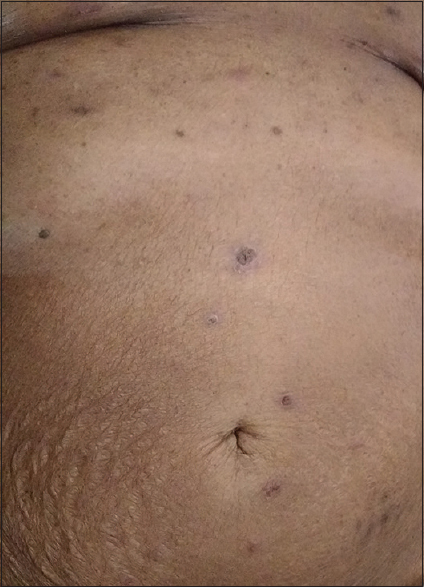 Pruritic skin lesions. A common initial presentation of acquired immunodeficiency syndrome. Arch Dermatol 1989;125:629-32. Sanchez M, Fiotades J, Soter NA, Lee MM, Pnge Wilson I, Moy J, et al. The characterization of HIV-associated popular erutions. 9th International Conference of AIDS. Berlin; 6-11 June, 1993. [abstract Nr. PO.B20-1887]. James WD, Berger TG, Elston DM. Andrews' Diseases of the Skin – Clinical Dermatology. 10th ed. Canada: Elsevier; 2006. p. 417-53. Rotunda A, Hirsch RJ, Scheinfeld N, Weinberg JM. Severe cutaneous reactions associated with the use of human immunodeficiency virus medications. Acta Derm Venereol 2003;83:1-9. Salami TA, Adewuyi GM, Echekwube P, Affusim C. Pattern of cutaneous pathology among a cohort of HIV/AIDS patients accessing care in a rural/suburban adult ART clinic in Nigeria. Br J Med Med Res 2013;3:1199-207. Resneck JS Jr., Van Beek M, Furmaski L, Oyugi J, LeBoit PE, Katabira E, et al. Etiology of pruritic papular eruption with HIV infection in Uganda. JAMA 2004;292:2614-21. Afonso JP, Tomimori J, Michalany NS, Nonogaki S, Porro AM. Pruritic papular eruption and eosinophilic folliculitis associated with human immunodeficiency virus (HIV) infection: A histopathological and immunohistochemical comparative study. J Am Acad Dermatol 2012;67:269-75. Coopman SA, Johnson RA, Platt R, Stern RS. Cutaneous disease and drug reactions in HIV infection. N Engl J Med 1993;328:1670-4. Prakash P, Mal C, Mathur A, Singhi MK. Correlation between cutaneous manifestations and degree of immunosuppression (CD-4 Count) in sero-positive patients a study done in tertiary level hospital of Western Rajasthan, India. Int J Curr Microbiol Appl Sci 2015;4:498-510. Ramos H, Pagliari C, Takakura CF, Sotto MN, Duarte MI. Pruritic papular eruption associated with HIV-etiopathogenesis evaluated by clinical, immunohistochemical, and ultrastructural analysis. J Dermatol 2005;32:549-56. Annam V, Yelikar BR, Inamadar AC, Palit A. Histopathological study of pruritic papular eruptions in HIV-infected patients in relationship with CD4, CD8 counts. Indian J Pathol Microbiol 2009;52:321-4. 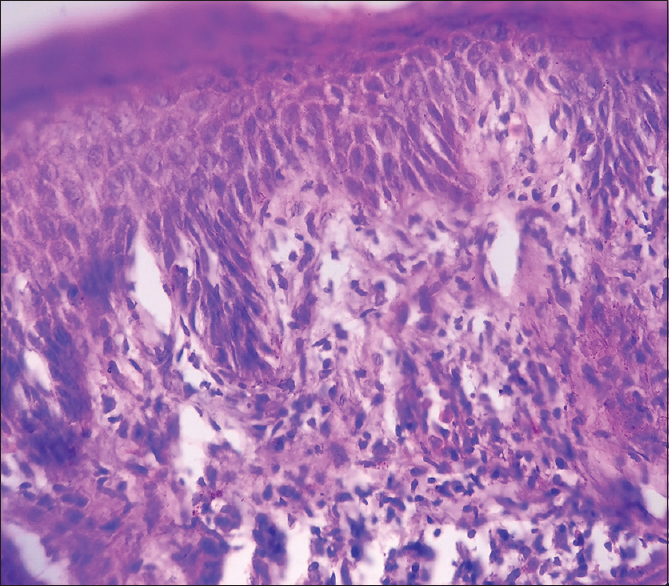 Budavari JM, Grayson W. Papular follicular eruptions in human immunodeficiency virus-positive patients in South Africa. Int J Dermatol 2007;46:706-10.